The City of San Fernando Partnership for Healthy Families is committed to providing year-round programming, events, and resources to help improve healthy eating and increase physical activity levels in the community to reduce obesity levels and risk of chronic diseases, including Diabetes. These programs are provide in partnership with California State University, Northridge, San Fernando Community Clinic, Kaiser Permanente Panorama City, Valley Care Community Consortium, and Providence Holy Cross Medical Center. Make you feel and look better. Break the grip of pain and enjoy life again! Participants report less pain, more energy and improved independence. Learn chronic pain coping skills. Manage difficult emotions and stress. Practice relaxation and gentle movement exercises. Improve communication with healthcare providers. Sleep better, feel better, live better! Sign up now for six 2½ hour sessions! ¡Rompe el cicló de dolor y disfruta de la vida otra vez! Participantes reportan menos dolor, más independencia. Aprenda habilidades de afrontamiento para el dolor crónico. Desarrolle hábitos de alimento saludable. Maneje emociones y estrés dificiles. Practica ejercicios de relajación y movimientos suaves. Aprenda comunicarse mejor con sus médicos, amigos y familiares. ¡Duerme mejor, siente mejor, vive mejor! Inscríbase hoy para las 6 sesiones de 2½ horas. ¡Maneje su diabetes, no deje que le maneje a usted! Si usted o algún querido tiene diabetes, usted sabe que uno puede sentir que la diabetes está tomando su vida. La buena noticia es que hay cosas que uno puede hacer para sentirse mejor y tomar control de su salud. Entender lo que su nivel de azúcar en la sangre le está indicando. Hacer que su dieta funcione para usted no contra usted. Manejar su estrés y emociones difíciles. Hacer ejercicios para cuidar su salud. Aprender a hablar con su médico acerca de sus síntomas. Establecer metas para su salud – y adherir a ellos. 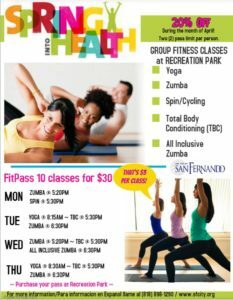 Fit Pass Classes are 10 classes for $20. A Fit Pass is required may be purchased at Recreation Park. Designed to sculpt your body, tone up and increase your cardiovascular ability through total-body interval training. Ready to increase your cardiovascular endurance? This class is for you! Cycling is a vigorous workout on stationary bikes that burn calories for all skill levels. 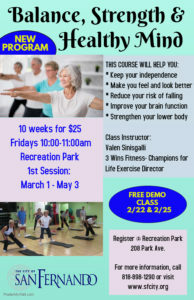 Learn the principles of yoga to increase and maintain flexibility, muscle tone, and breathing capacity. Participants also enhance coordination and balance. Mat is required. Develop strength, balance, flexibility and core stability all while burning calories, sculpting your body and increasing cardiovascular endurance. Zumba Pass Classes are 10 classes for $25. A Zumba Pass is required may be purchased at Recreation Park. Same great, high-energy class tailored towards individuals with limited mobility or special needs. 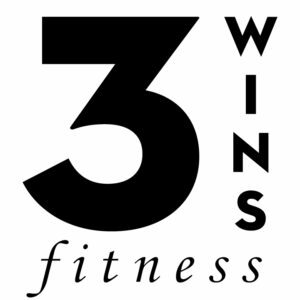 Class is open to individuals 14 years of age and older of all levels of physical fitness. Participants must be accompanied by parent, guardian or caregiver. Exercise stations for all fitness levels that focus on improving strength, endurance, balance, and agility with the goal of achieving a healthy-active lifestyle. Targets fall prevention and improves the quality of daily living through balance, strength, and flexibility. Health education classes to help with nutrition, weight management, stress control, motivation, and living a healthy lifestyle.